It seems like a long time since NPQ has covered a story about how Gov. Paul LePage of Maine is trying to get nonprofit organizations to pay taxes or in other ways bend to his will. The most recent was in December of 2017, when the governor was withholding funding from a workforce development program with which he disagreed. Prior to that, there have been numerous instances when he has done or said something against the nonprofit sector. So, it is with a sigh of resignation that we read a story in the Portland Press Herald about accusations that the governor, who is in the last year of his term, may have used inaccurate information in a pitch to tax land conservancies. 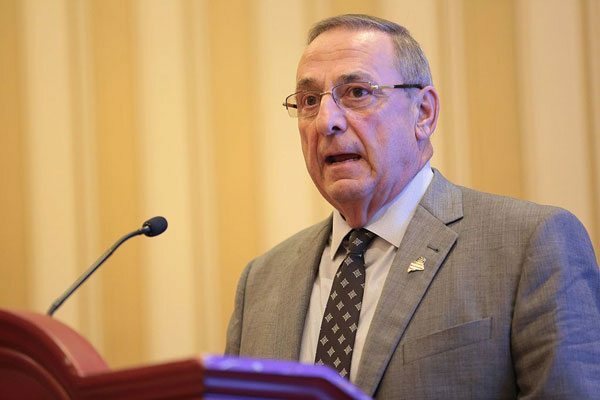 When he was reelected for a new term to start in 2015, LePage immediately submitted a two-year budget that called for a dramatic overhaul of the tax code in Maine. One portion of that proposal was to impose property tax on nonprofit organizations owning property valued at more than $500,000, which the governor assumed would mean mostly hospitals and universities. The proposal was soundly defeated by the legislature. In his most recent State of the State speech, delivered on the 13th of February, LePage renewed his call to tax nonprofit organizations as a way of easing the burden on homeowners. This time, however, he set his sights on nature conservancies, which, he says, own $18.3 billion worth of land and are not paying taxes. He estimates this costs the home-owning population of Maine $330 million. Conservation advocates and some legislators have taken exception to this estimate, calling it disingenuous at best. It appears true that there is a large portion of Maine land that has been taken off the tax rolls through some form of conservancy. Of Maine’s 20 million acres, at least 4 million, or 20 percent, has been conserved in some fashion. However, the veracity of LePage’s claim does not seem to go much farther than that. A recent report issued by the governor’s office estimates that more than 1,300,000 acres of conserved land are owned by the federal government or the state of Maine, and so would not be affected by any legislation to impose a tax levy. An additional 2,300,000 are privately owned and protected through conservation easements, most of which are subject to taxation already. The leaves about 500,000 acres of land owned by land trusts. That land is valued at about $6.4 billion, not the $18.3 the Governor claimed in his speech.